Welcome to 1720 Washington Street! 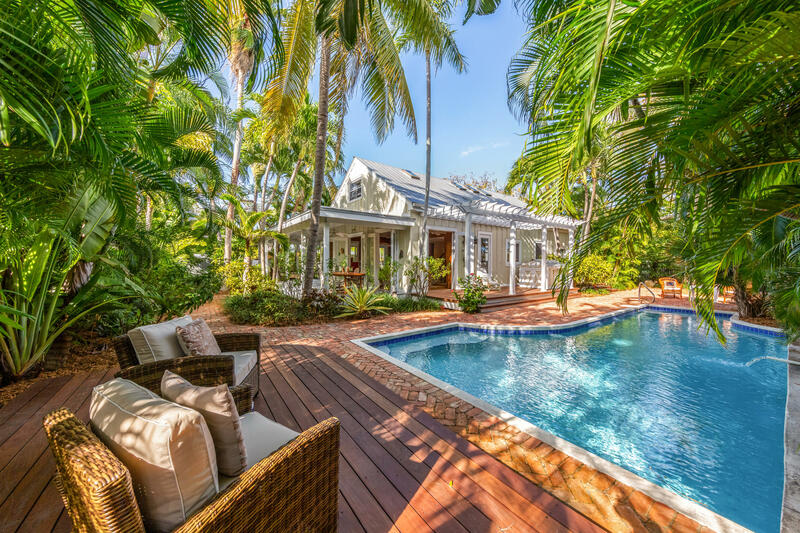 This remarkable example of historic Key West architecture is well appointed on an oversized 9,771sf corner lot featuring 2,741sf of living space, an enormous wraparound covered porch, Dade County Pine walls, tropical landscaping, incredible indoor-outdoor living, and a beautiful 36ft heated swimming pool. Greeted with gorgeous landscaping and Chicago red brick pathways, this 2-story home has excellent curb appeal. The large living and dining rooms are highlighted with high ceilings and French doors leading out to the covered lanai and outdoor living spaces. All three guest bedrooms are generously sized, and the downstairs Master Bedroom features a beautiful private bathroom.